• Trout require cold, clear-running streams to reproduce, which is why most trout in Arizona don't reproduce in natural bodies of water. • Trout are the primary fish grown in Arizona because of low natural reproduction rates and high angler demand. • There are five species of trout produced in Arizona: rainbow, brown, brook, cutthroat and Apache. • Rainbow trout are the most common and easiest to catch of all trout. • Most stocked rainbow trout range from 9 to 11 inches in length. 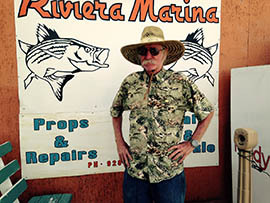 BULLHEAD CITY – Rusty Braun, owner of Rusty’s Riviera Marina, said anglers should soon be lining up for anchovies, artificial lures and more with hatchery-raised rainbow trout returning to the Colorado River. “We’re going to get people from all over the place again,” he said. The U.S. 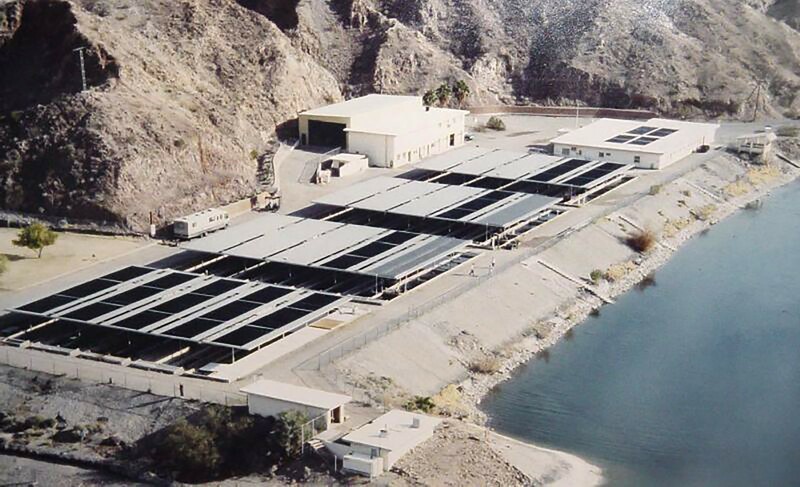 Fish and Wildlife Service and Arizona Game and Fish Department finalized an agreement late last week to reopen Willow Beach National Fish Hatchery, a federal facility that stocked the river below the Hoover Dam. The hatchery was damaged in August 2013 when a pipeline feeding water to its raceways became clogged, killing tens of thousands of rainbow trout. The pipeline later broke. Braun said fewer people have been coming in to buy bait and tackle as a result. At an event Friday with state and federal officials, U.S. Sen. John McCain said the break caused businesses in the area to suffer. The agreement between state and federal agencies will bring back tourism and fishing dollars, McCain said. “It’s one of those rare stories where there’s a real happy ending,” he said. Larry Voyles, director of the Arizona Game and Fish Department, said U.S. Fish and Wildlife Service will raise and truck in trout until repairs to the pipeline can be made. The work is expected to begin in September and wrap up by the end of next winter. He said the agency will also supply the state with Apache trout eggs for 10 years in exchange for splitting the nearly $800,000 cost of repairing the pipeline. According to the Arizona Game and Fish Department, fishing brings in about $75 million a year and supports hundreds of jobs in Mohave County and Nevada’s Clark County. 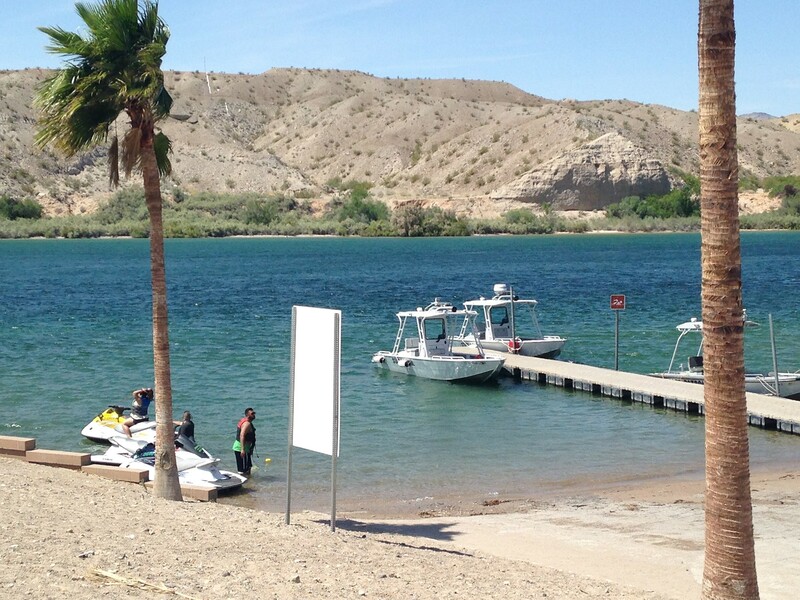 “The Colorado River is the lifeline for so many cities in the Southwest, including Bullhead,” said Chris Cantrell, fisheries chief for the department. Cantrell said the project will include a floating platform design so the pipeline won’t dry up if the river level gets too low. He said 18 months after the pipeline’s completion, the hatchery will be ready to release trout. “We’re just really thrilled to ensure a long-term commitment to making sure trout are stocked in the Colorado River and people have the opportunity to go fishing,” Cantrell said. But Benjamin Tuggle, the U.S. Fish and Wildlife Service’s Southwest regional director, said the economic boon will be subtle at first. “There’ll be a lull because there will be a little bit that we have to do in terms of the maintenance.” he said. Tuggle said his agency is working on ways to address this lull, including growing bigger fish. “It’ll be a nominal drop until we can get back up to the point that we’re raising fish from eggs to releasable,” he said. Braun, owner of Rusty’s Riviera Marina, said he’s already getting calls from all over the country from people wondering when and where the trout will be released. After eight months the Willow Beach National Fish Hatchery has finally received the funding needed to repair a vital pipeline. An agreement between the state and federal governments will have the U.S. Fish and Wildlife Service and Arizona Game and Fish Department sharing the cost of reopening the Willow Beach National Fish Hatchery. 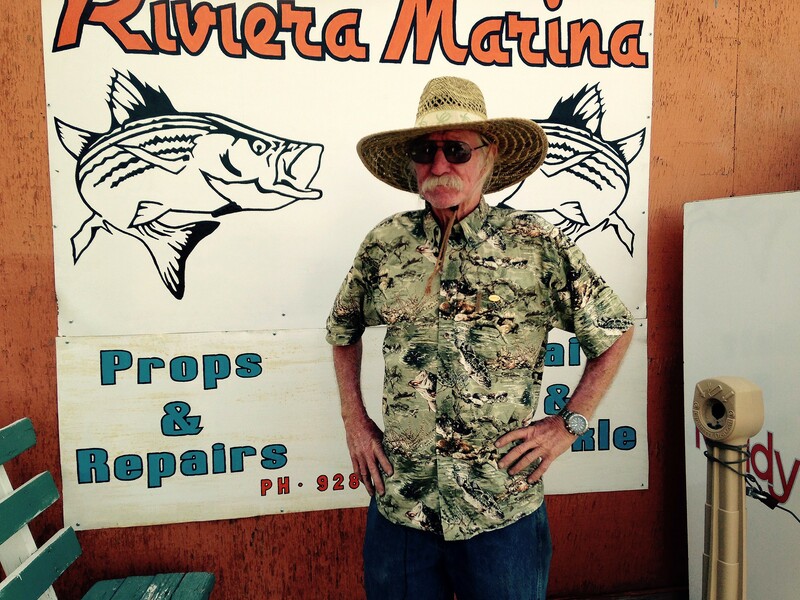 Rusty Braun, owner of Rusty’s Riviera Marina in Bullhead City, is celebrating an agreement to reopen a federal hatchery that has supplied trout to the Colorado River and Lake Mohave. The area depends on anglers drawn to the trout fishery in cool water flowing out of Hoover Dam. 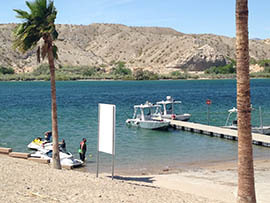 The Colorado River near Bullhead City is popular with anglers looking to catch rainbow trout. Local leaders and businesses are celebrating an agreement to reopen a federal hatchery that has stocked the river and Lake Mohave.